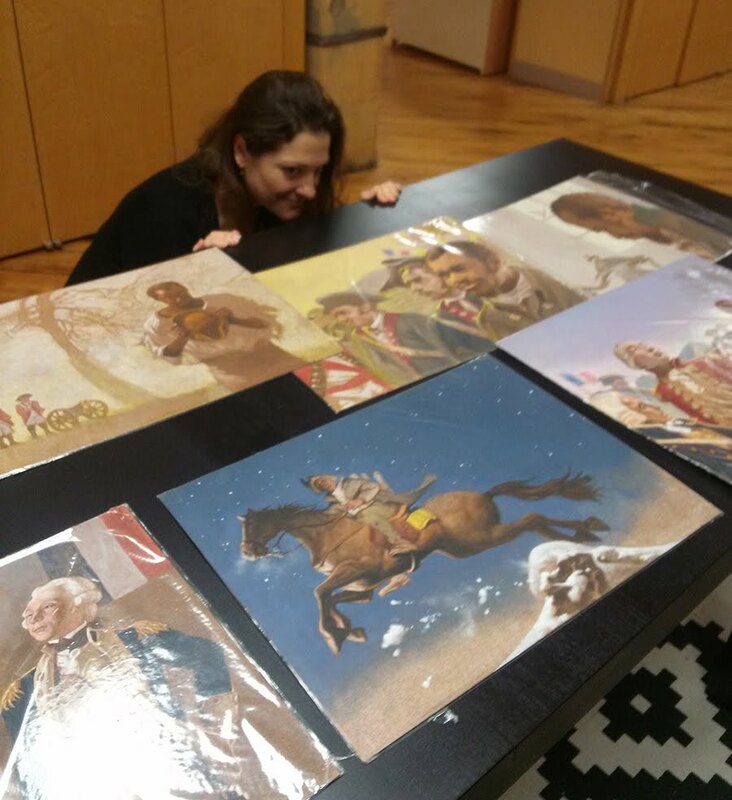 I didn’t realize this was a thing people wondered, until a member of our publicity team stared at me wide-eyed with rapt attention and asked “what now…?” after hearing that we had received the physical paintings for one of our picture books. To those of us who do the daily putting together of books, this is routine. But for those who don’t, it is a mystery. The amount of physical art we get into the office has decreased dramatically over the past 5-10 years. About 85%* of all artwork coming in now is digital. 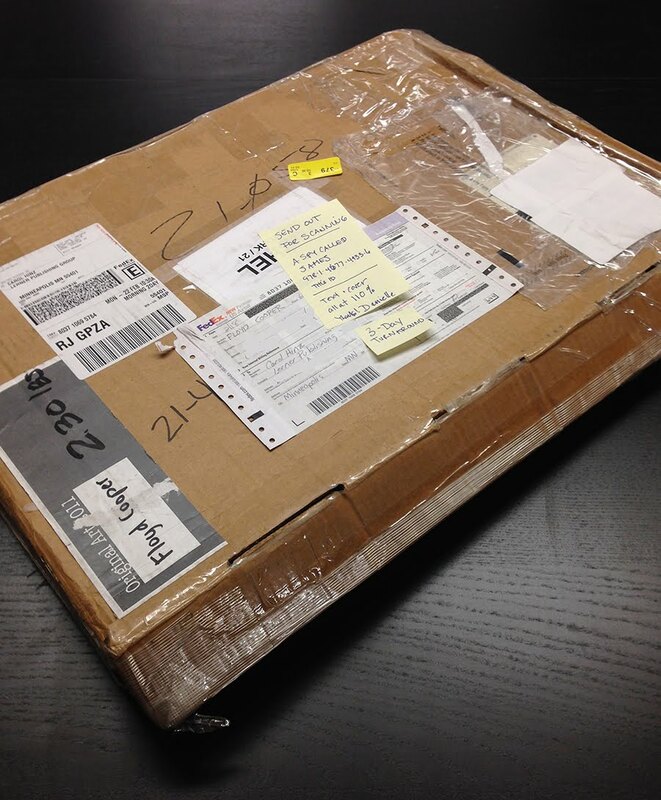 So when we do get physical artwork for a book, it really is a bit of an event. 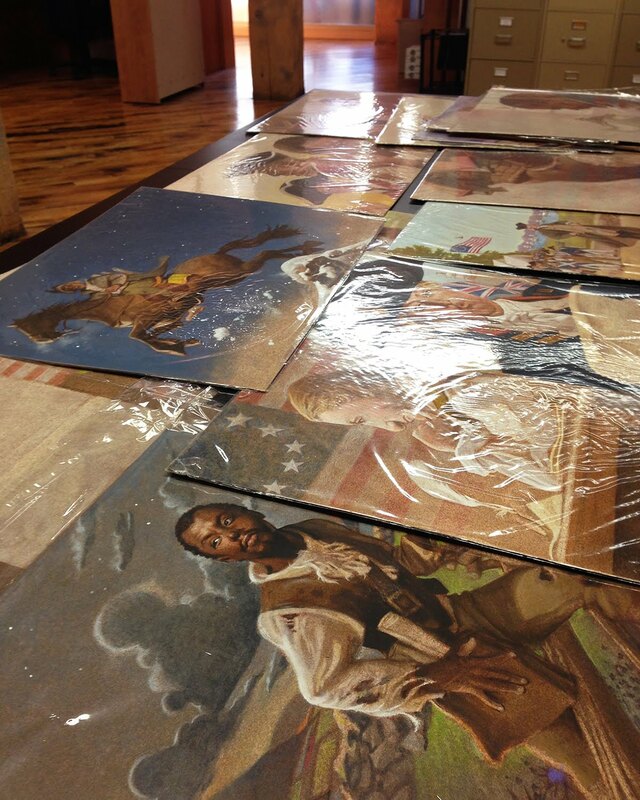 The book’s team will have seen pictures of the art in progress, but those pictures never do justice to the actual art. 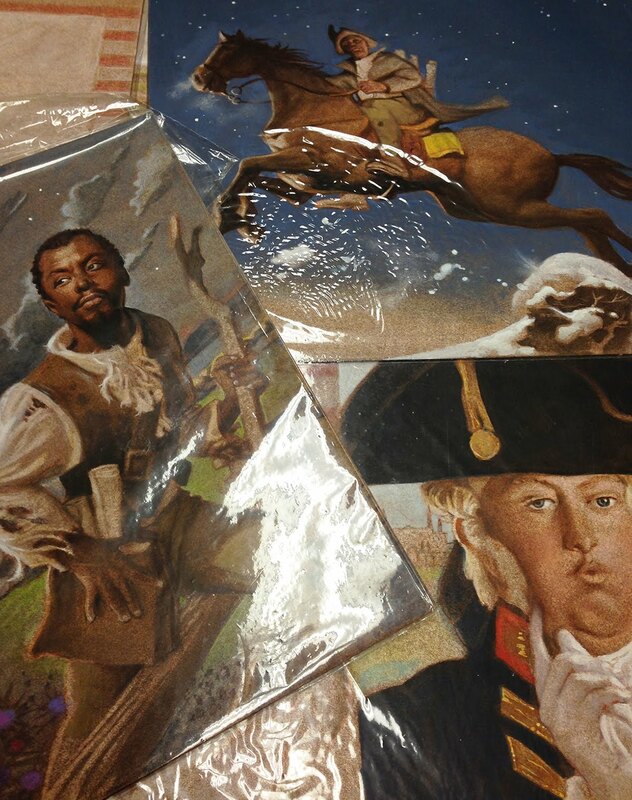 When much-anticipated final art for our upcoming picture book A Spy Called James: The True Story of James Lafayette, Revolutionary War Double Agent was delivered to the Lerner office last week, those of us on the project dropped everything to unpack & review the art. up three flights of stairs to the design department. We open the box carefully (usually the designer does this, since we’re better with sharp blades) and spread the artwork out on whatever surface is large enough, while everyone in attendance–any combination of designer, art director, text editor, editorial director, and curious passersby– collectively holds their breath. Artwork from a book about a spy deserves to be spied on. At least that’s what this Art Director thinks. …then count everything, mark somewhere the page numbers for each piece, and pack the artwork back up again in the same box to send to our large-format scanning vendor. Sometimes art only sees the light of day for an hour in our office. This makes it sound like we don’t like the art, but we do, honest. We only keep it packed away for safekeeping. We’ll get the scans back in 3-5 days and place in the indesign file to do final design and production work. If we need to check the color of scans and do any corrections, we’ll pull the art out again to compare. Other than those instances, the art rarely makes it out of the box again. But will be well represented & appreciated in its final book form! *Please don’t hold me to this number. I have not done the actual math. This is an educated estimate. But I can certainly do the actual math from the past few years if you ask nicely!